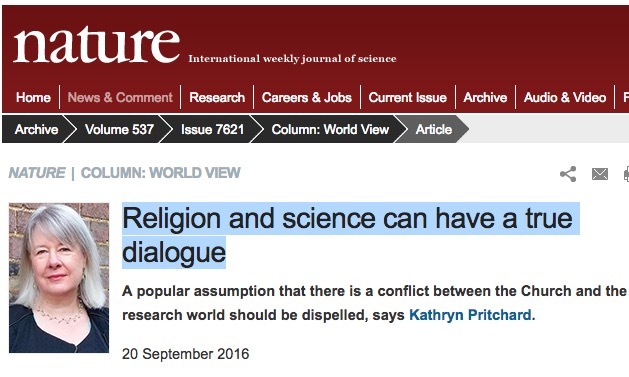 The journal Nature is not prone to publish a lot about religion and science, so this one is unusual. Lots of comments from the religious and the not-so. Interesting to note the tone of the different comments.